Bit of a slow week again. I devoured the first two books of the Powder Mage Trilogy last week, since the third book comes out this week. (I’ll be doing a review). Flintlock fantasy is a relatively new subgenre, or sub-sub-genre, depending how you want to look at it, featuring flint and wheel-lock guns, colonial era politics, the rise of non-monarchical political systems, plus, you know, magic. The only real luminaries so far are Brian McClellan and Django Wexler, both of whom are highly enjoyable writers, obviously both having a ton of fun with what they’re doing. 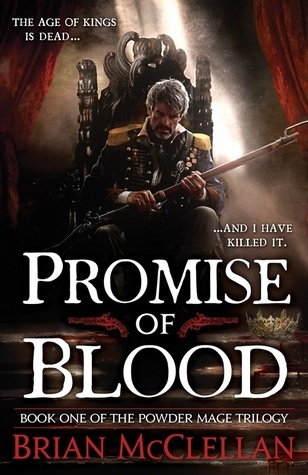 McClellan’s The Promise of Blood starts out with a military coup against the monarchy of the nation of Adro, leading right into the action. I honestly can’t really blog about these books separately- I’ve read both of them twice, now, and each time I read them consecutively, so it’s kind of blurred together into one, much larger book. They’re excellent books- not perfect, of course, but excellent. 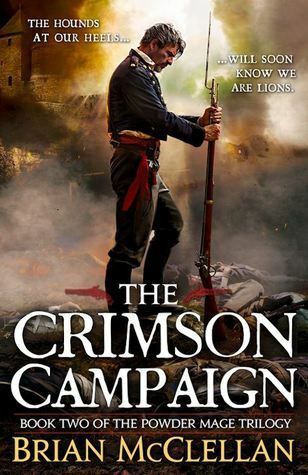 My only real complaint is regarding the treatment of some of the parts of the story that are supposed to be epic and mythic- they sometimes feel a little less exciting than some of the gritty, down to earth battles, but that probably speaks more to McClellan’s ability to write said battles. Regardless to say, I’m quite excited for book three, the Autumn Republic. I haven’t read many comics specifically designed for digital consumption before this- in major part thanks to my lack of a tablet. 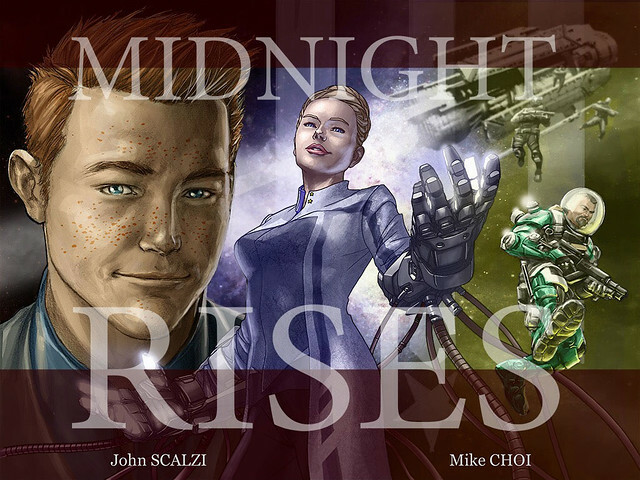 Midnight Rises is an IOS exclusive digital comic. It’s actually its own app, since it’s actually the prequel comic to an IOS videogame, Midnight Star, which also had its story written by Scalzi. First off, Choi’s art is great, especially the machinery and background tech. Scalzi did a decent enough job writing the comic, but I do think it suffers somewhat from its prequel status- it very obviously is a lead-in to Midnight Star. Once Midnight Star comes out, I think it will likely fit in pretty well with the story of the game, but until then, we’ll have to wait and see. As for the digital comic features- it’s pretty interesting being able to choose, to some extent, the order and shape of the story. The controls are a little less flexible than I would have liked- you can only turn the page forwards and backwards via tapping the right side of the screen. Swiping is reserved for the larger pages that can be explored. Posted in Book Reviews, Weekly Pull Review and tagged Brian McClellan, Chip Zdarsky, Crimson Campaign, John Scalzi, Just the Tips, Matt Fraction, Midnight Rises, Mike Choi, Powder Mage Trilogy, Promise of Blood on February 3, 2015 by mountainwashere.